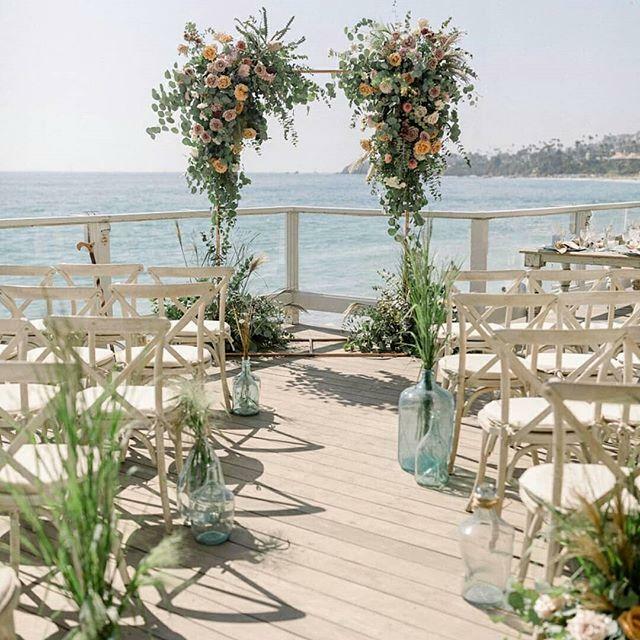 Gorgeous beachy ceremony set up! Swipe through to zoom in on these totally dreamy pastel florals! Link in bio to see the full wedding, you'll love the Bride's pink hair + remarkable bouquet!